David is NCI’s Operations Manager. He says one of his job duties is being the “engineer wrangler”. He also has a big hand in customer relations and day to day operations assistance. He is a liaison to our clients and he ensures quality and efficiency in the various projects and jobs. 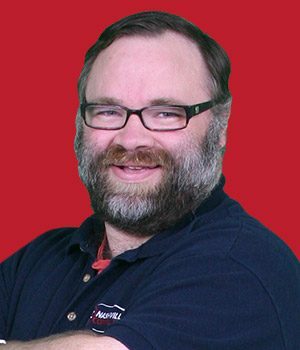 He’s been with Nashville Computer since 2010 and says his favorite thing about our company is the way we work as a team. Outside of business hours he loves hosting game nights with friends, going on dates with his sweet wife, Dia, and grabbing coffee with family and friends. He is originally from the Auburn area in Alabama, and now resides in the Nashville area with Dia and their dog, Penny.